I am pleased to have come across this site. I have a P38 with serial #1495. I would like to know when this was produced. On the right side it says "Made In West Germany". 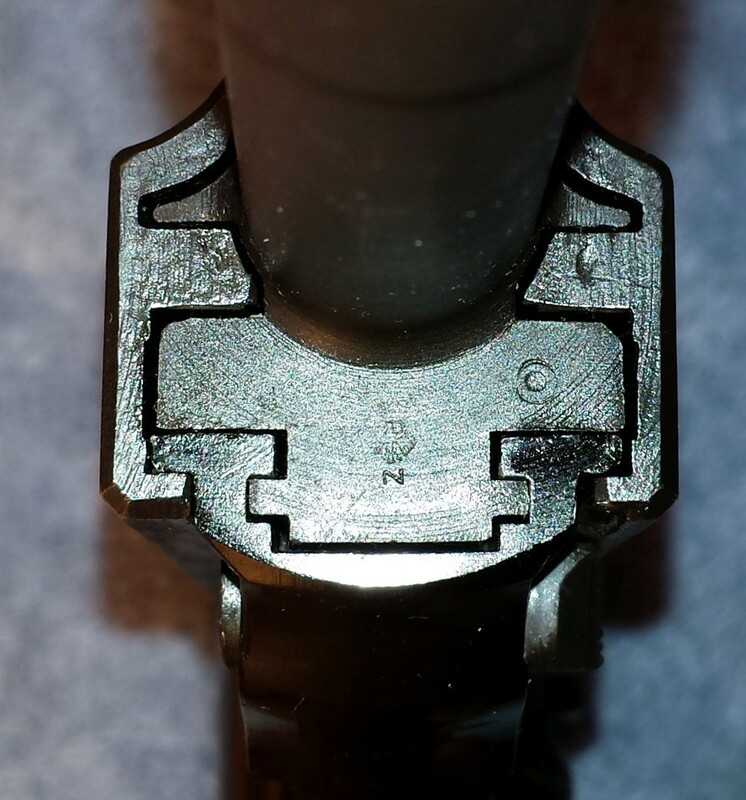 There is a 68 and eagle symbol stamped near the trigger housing. 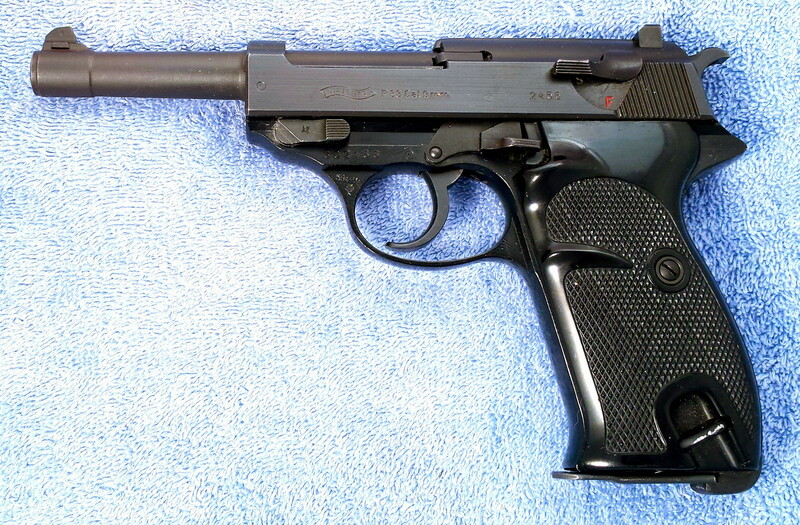 I purchased this P38 cal 9mm in the late 60s. If you purchased it in the late 1960's, it may be a P1 instead of a P38. Here is some history from Wikipedia, however accurate that may be. 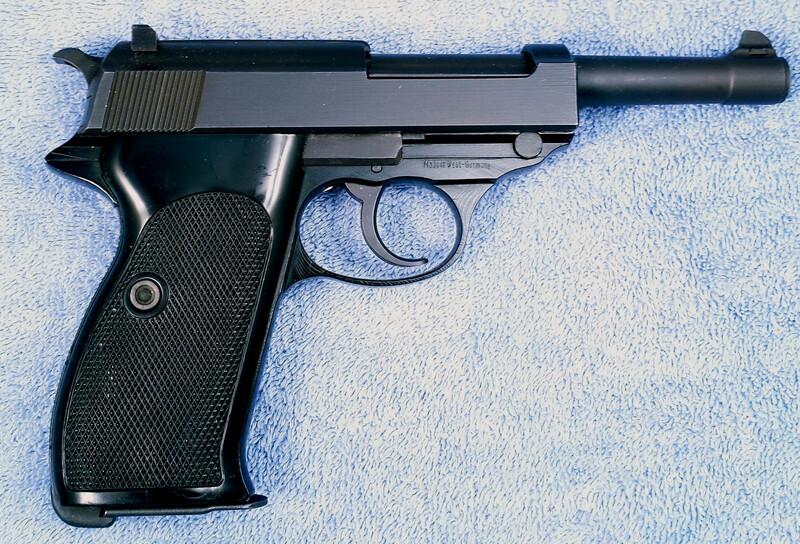 The Walther P38 was in production from 1938 to 1963. From 1945 to 1957, no P38s were produced for the German military. Slowly over time, West Germany desired to rebuild its military so that it could shoulder some of the burden for its own defense. Walther retooled for new P38 production since no military firearms production had occurred in West Germany since the end of the war, knowing that the military would again seek Walther firearms. When the Bundeswehr announced it wanted the P38 for its official service pistol, Walther readily resumed P38 production within just two years, using wartime pistols as models and new engineering drawings and machine tools. 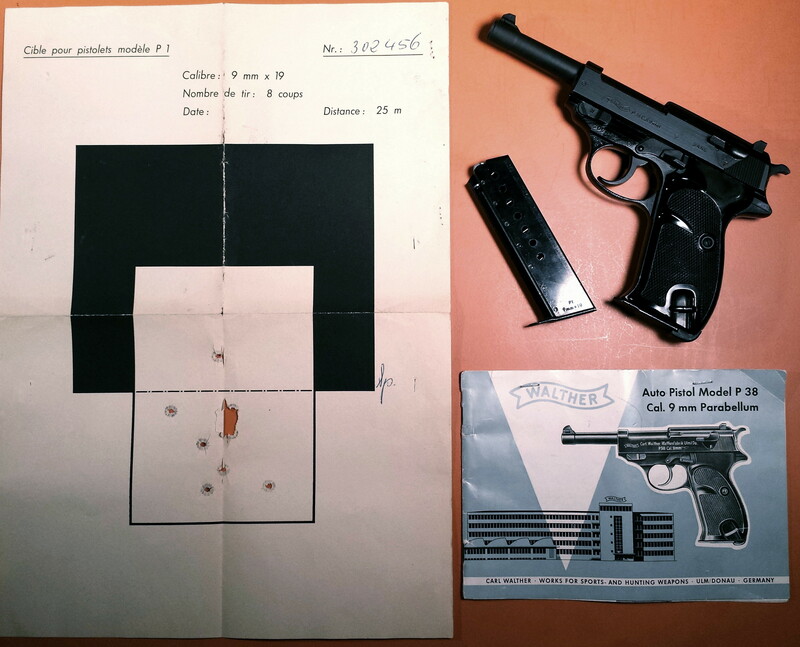 The first of the new P38s were delivered to the West German military in June 1957, some 17 years and two months after the pistol had initially seen action in World War II, and from 1957 to 1963 the P38 was again the standard sidearm. In late 1963 the postwar military model P1 was adopted for use by the German military, identifiable by the P1 stamping on the slide. The postwar pistols, whether marked as P38 or P1, have an aluminum frame rather than the steel frame of the original design. The aluminum frame was later reinforced with a hex bolt above the trigger guard. The last death penalty in Germany was conducted with a variant of the Walther P38 with a silencer in East Germany on June 26 in 1981. During the 1990s the German military started replacing the P1 with the P8 pistol and finally phased out the P1 in 2004. 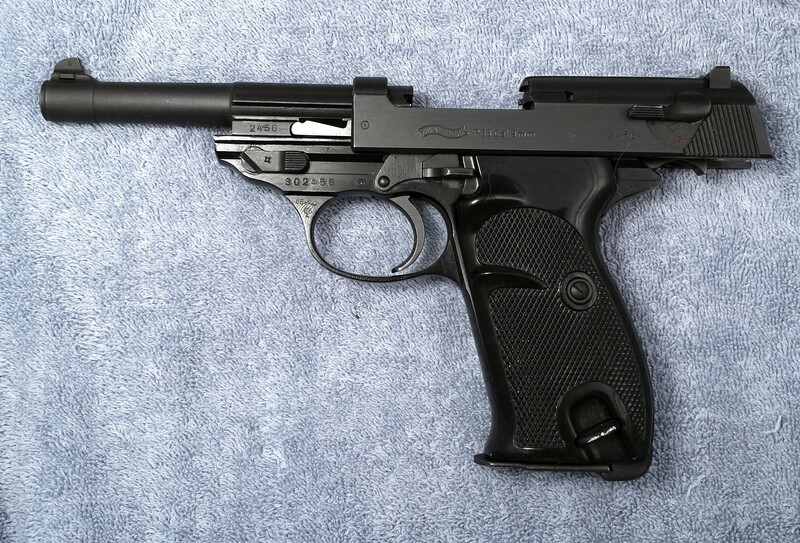 An improved version of the P38, the Walther P4, was developed in the late 1970s and was adopted by the police forces of South Africa, Rhineland-Palatinate and Baden-Württemberg. Last edited by Pudge; 11-21-2015 at 09:43 PM. You may have a 1968 commercial export model P38. These were thin slide police or military contract P38's or P1's that were sold as commercial models after the reinforced slides were introduced. These were proof stamped in '68 but the serial numbers show they were made in the early to mid 1960's. If the left slide has a four digit number (1495) it was a police model. Military models have the last three digits of the frame serial number stamped on the slide. Here are photos of my 1968 Commercial Export Model P38 to compare with yours. It has the Eagle/N proof stamp & '68 proof date by the trigger guard. There's a "Made in West Germany" export stamp on the right side of the frame. The four digit "2456" serial number stamped on the left slide and barrel in front of the locking block is a police characteristic. This four digit number matches the last four digits of the full serial number located on the left side of the frame. Last edited by Milspec; 11-23-2015 at 03:50 AM. It’s a few years later, is your 1968 commercial export 4 digit s/n P38 with a steel or alloy frame? Thanks.